When a book makes you cry with the first thing you read, you do not just read the book, you live every feeling in it. And that's exactly what happened with me. Always in the habit of reading a story collection in random order , I randonly opened some page and starting reading. As the article ended, I was choked. thats how I began my journey with "Celebrating India"
The book is divided into different sections - Memories , Poetry , Short Stories and lastly the travelogues. The book begins with an excerpt from "The Elephant , the tiger and the cellphone" by Shashi Tharoor. I had always admired Shashi in his interviews and some of the talk videos I saw on youtube. But this essay titled as Invention of India was perfect picture on what makes us a nation and how we break our own rules of segregation. How no single factor alone can be attributed to bind us as a nation and yet we stand strong and proud. We are worth celebrating, so says and convinces Shashi. Memories has some of the most heartfelt accounts of people from across nation, across various social backgrounds. It is like sitting in the lap of your grandmother and hearing her tales. floating in nostalgia and misty eyed look of happiness , the memories are a gem to read. The poetry section has renowned names like of Gulzar and Deepti Naval , a few of my old friends from orkut poetry community and a lot of new names. But what I loved most was the variety of themes , emotions , views and ideas spread in the poems. And the poetry section so beautifully covers them all. Short stories offered me an insight into minds of people inhabiting here. The last I read was travelogue section since I never been much of a fan of such posts. But here i must admit I was wrong. Every article under this section is like being in a cinema and watching images unfold. The book also has 5 color pictures included and not to mention beautiful choices those are ! We live in a country filled with a Paradox, Love,Fusion,Tradition,Opinions,Laughter and Empathy. For us, India means more than a piece of land.it is where we are rooted. We have heard fictional tales of different pieces of land. we have had our own tales of memories. 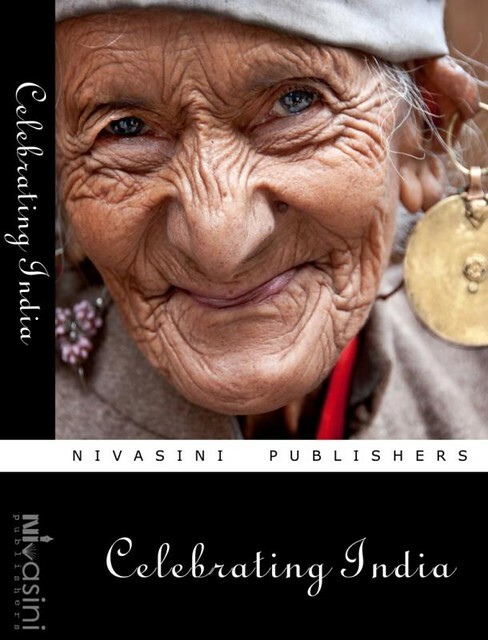 This collection bring to you stories/poetry/photographs/sketches where the spirit of india is celebrated. Here are short stories, poems and memories from different people across the country, India. The initiative, a non-profit one is to rejuvenate the spirit of India that we’ve lived and loved. Rating : Are you kidding ? 5/5 stars for this !